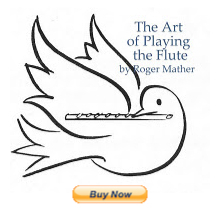 I just finished reading a great chapter in a great book on becoming a musician. The highlight for me was Chapter 12 'Feux Follets' (Will-o'the-wisps) in the fabulous book Etudes for Piano Teachers by Stewart Gordon. I adore the clarity of the writing! And the topics are very close to those I find myself asking other music teachers whenever we really sit down to exchange what works and what doesn't in teaching instrumental performance. 1. Charisma onstage ~ From the moment the musician enters the stage the audience perceives almost instantaneously the the 'SENSE OF LIFE' that the musician projects. This is an instinctive appeal, perhaps based on any number of charismatic qualites. These qualities can even come to a performer later in their career, when they become more at peace. With child prodigies the innocence and radiance is often the attraction. What's interesting is the Gordon states that even if you compared the charismatic performer's recordings to those of a performer who is more technically skilled in some facet, that the audience response will still propel the career of the naturally charismatic performer further. They simply LIKE the person from the moment they see them, and want to believe in the presentation that follows. 2. Musical know-how ~ This includes the performer's keeness in the perception of musical sound, and the level of technical skill and proficiency with which they make music. Technical skill is the most measureable during training of young musicians, and one that is constantly re-measured over the years. But also, Gordon states, that technical skill alone is "not enough to sustain a public career over the long haul". He states that although there are many multiply skilled people who could have made a career in music, of course not all of them pursue performance as a career . In talking about why they wouldn't choose to become world-class performers, Gordon says: "...we have a host of first-rate musicians who are able to perform up to standards at least equal to that of the practicing concert artst, and on occasion at standards which even surpass those of more famous colleagues." He then gives financial and family reasons why some people of this high level of musical skill decide against a touring, solo career. "If we have been lucky, we have at some time been to a performance in which the artist, with or without charisma, became unimportant, (and) in which the level of professionalism (technique, musicality, sensitivity), although totally satisfying, was beside the point: and after which we came away feeling as if we had been given--miraculously and without having deserved it---a new viewpoint with regard to the eternal, profound questions which face every individual man or woman: birth, life, love, pleasure, pain, death--and most importantly, the meaning of it all. ...Congratulations, accolades, standing ovations are quite beside the point. Those present know what has transpired; and for many, their testimony may be mute because they have no vocabulary to explain it." ".....Projection of such a sense can in no way be a quick study. The artist must have lived with the concept, struggled with it, and given it the most extraordinary dedication--and discipline. Even so, we understand that no once achieves such communication on demand, (but only after) years of soul searching, hours of seeking technical and musical values, and the desire to communicate on this level..."
I highly recommend this book as a terrific read for teachers primarily. Many other topics are covered also. Google books has this particular book with full index, and some clickable, limited, chapters up for reading. For me, Stewart Gordon has achieved a sublime summing up in the above chapter, which he entitles "Feux Follets". Fabulous read. Look in your local library too. This "Etudes for Piano Teachers" (1995) also first appeared as a series of articles in The American Music Teacher under the heading of "The New Davidites". The articles and essays have been updated since their original publication between 1973-1982. Gordon's music-teaching insights, however, are timeless. Thanks for sharing your summary. There are so many good books like this on the market, which makes it difficult to sort through them and find the worthwhile ones. Great thoughts there. I particularly agree with the concept of good musicians choosing not to take the career path of touring, etc. I think this was the case for me; I like the stability and routine of teaching.